The first obvious myth about Scotland is that it is a land of milk and honey inhabited by a left-wing population that demands equality at all costs – or, even, that its financial advantage combines with consistently social democratic policies to reduce socio-economic inequalities to a level far below the rest of the UK. on most key measures social and economic inequalities have remained unchanged or become more pronounced … This country is a paradoxical tapestry of rich resources, inventive humanity, gross inequalities, and persistent levels of poor health and deprivation … In education, the gap between the bottom 20 per cent and the average in learning outcomes has not changed at all since devolution. At the same time, the gap in healthy life expectancy between the 20 per cent most deprived and the 20 per cent least deprived areas has increased from 8 to 13.5 years and the percentage of life lived with poor health has increased from 12 to 15 per cent since devolution. The link between deprivation and the likelihood of being a victim of crime has also become stronger. This set of problems receives only sporadic political attention, but there is some potential for a lack of progress on inequalities to frame the next Scottish Parliament election (if the constitutional question does not continue to dominate). Yet, this conclusion has produced a second, equally problematic, myth: our obsession with Scottish independence has set back the inequalities agenda for years. This story has two main elements. First, the SNP government has taken its eye off the ball because it has been able to entertain its independence obsession, at the cost of paying attention to substantive social policy, without having to worry about the effect of its governing record on its popularity: inequality has worsened but its position remains strong while it can blame Westminster for any problem. 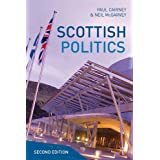 Second, there is a simple solution to educational and other inequalities in Scotland – we just need to be driven by the evidence of success (for example, in other countries) and find the political will and leadership necessary to make tough decisions and stick to them. Both of these points can be dismissed easily. First, maybe we don’t pay much attention to relevant policies, but the Scottish Government and Parliament do. In fact, there is unusually high agreement between parties on the need for the ‘decisive shift to prevention’ prompted by the Christie Commission, accepted wholeheartedly in government, and overseen by the Finance Committee. Further, when people do pay attention – when there is party political electoral competition and public attention to policy – it undermines long term policy strategies. Bursts of attention to political issues tend to produce rushed solutions to the wrong problem – more money goes to acute hospital care to reduce waiting times or to local authorities to boost teacher numbers and reduce class sizes, taking money away from the policies designed to reduce inequalities in the long term. Second, the key problem that we need to face, if we want to go beyond simply shaming the nation’s or the government’s record, is that we don’t know what the evidence is and what policy should be. No politician or political commentator likes to admit that they can see a huge problem but don’t have a clue about how to solve it – yet, that is the problem we face. The simple solutions of media commentators are untested and their success rests largely on assertion rather than evidence. Or, when experts are called upon to settle the matter, you find that equally eminent scholars support contradictory solutions. My new research with Emily St Denny shows just how far this problem goes. 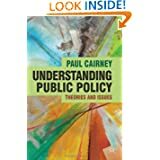 Even if there is cross-party agreement on the need to act, no one quite knows how to do it: how to define ‘prevention’ policies, gather evidence of ‘best practice’ (from home and abroad), turn the evidence into policies that can be ‘scaled up’ across the country, and demonstrate success for long term projects in a way that helps them compete for funding with high profile and popular quick fixes. What seems like an academic discussion about the nature of evidence and the mechanics of policy delivery is actually an issue at the core of the inequality debate. We show how foolish it would be to assume that the problem can be solved by attention and political will. The latest version of this paper is here: Cairney 2015 EBPM and best practice 22.4.15 . It underpins a talk I gave to the Scottish Government today, and an academic-practitioner workshop tomorrow, bringing together the Government, Parliament, academics, and policy practitioners, to discuss how to move on from the broad commitment to reduce inequalities to actual projects with demonstrable success. *This is also an issue that @chrisdeerin has been discussing for some time, partly to bash the Nats and partly to advocate learning from projects such as the ‘London Challenge‘. This is a broader topic – policy learning and transfer – that needs additional discussion. 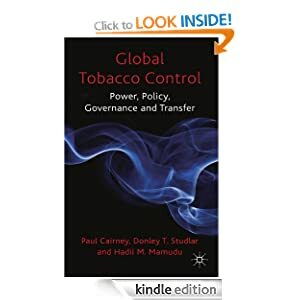 I discuss it (albeit tangentially) in some separate posts – such as on theory – and in a previous paper looking at the transfer of prevention policies.